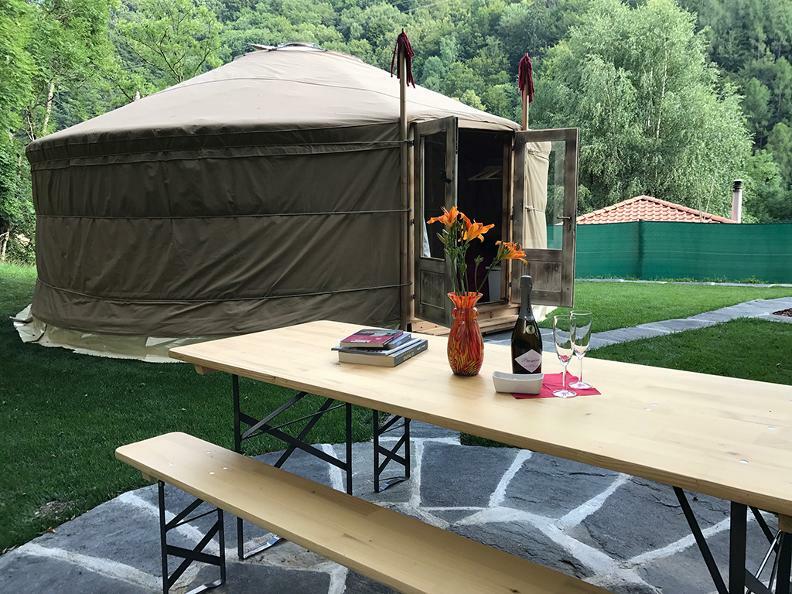 Newly built Yurta of 35m2 to 25min drive from Lugano, surrounded by greenery with all the amenities to spend a pleasant stay. Small outdoor kitchen with gas stove, fridge, microwave, cold water. Grill available. Service with hot water, toilet and shower room within walking distance to the building below. In the evenings on request we can arrange a relaxing hot bath in the wooden tub. A 5 minute walk to the river, where you can swim in the summer. 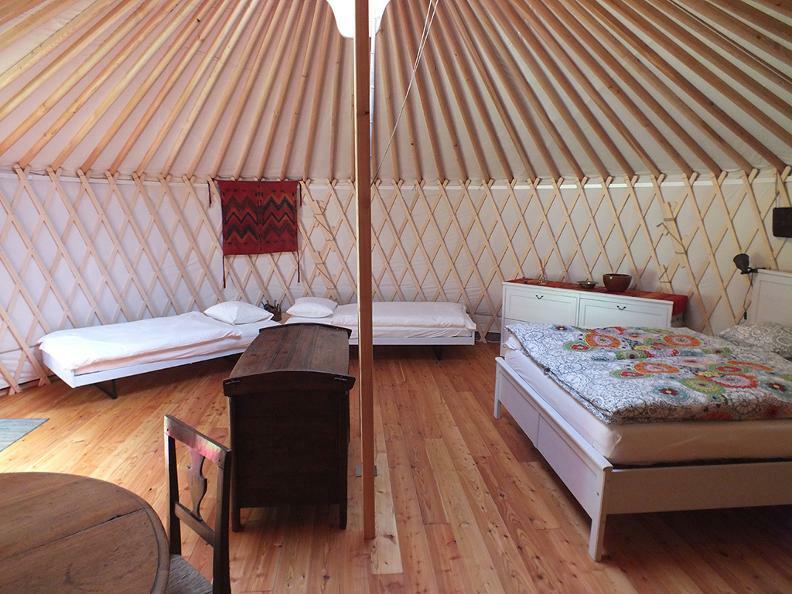 Our great Yurta is made of natural and eco-sustainable materials: larch wood, cotton, sheep wool felt and hemp ropes. Furnished with a double bed and two single beds, antique table and chairs, some antique and ethnic items. If used by 6 people another 2 mattresses on the floor. 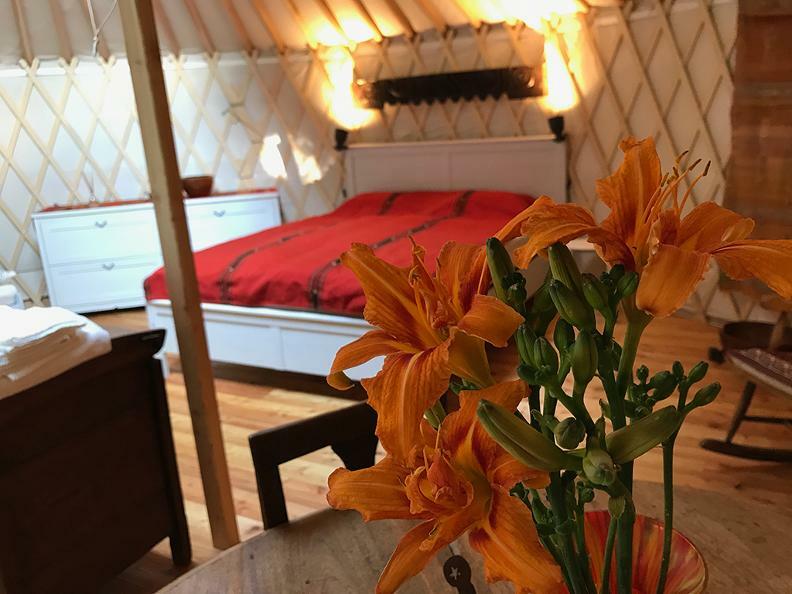 Yurta has electricity for lighting and the use of small electrical equipment (portable, mobile charging, ...). The central dome is covered with polycarbonate and has a window opening. The double door can be locked. Outside of Yurta there is a small kitchen cabin with cold water, fridge, gas stove and microwave. The night sleeps quietly by the sounds of nature and in the distance the river. From the parking lot you cross the main road and walk up to Yurta, which is about 50m. Beyond the Yurta there are only meadows and forests, a path leads directly to Scareglia in about 20 minutes of uphill walk. The whole area around Yurta is not fenced, so it is easy for you to see some animals living in our forests, mainly roe deer, deer, foxes. Guests have access to the garden of the laboratory just to go to the bathroom. For cyclists who venture on the magnificent hiking trails of the area: tools, compressor, water cannabis for mtb disposal, and info on semi-unknown tracks in Valcolla. On request, we rent two electric bicycles, not off-road, possibly with child seats to carry children. We have a dog, Australian Shepherd breed, probably will welcome you barking, but as soon as he has known you will become your friend.